For me, Aston Martin and Zagato is one of the most famous and successful manufacturer/ styling house partnerships in the history of the automotive world. Since 1960, the two brands have collaborated to produce some particularly gorgeous vehicles, with the DB4 GT Zagato a favourite of mine. That’s why I’m looking forward to seeing the latest creation from the two brands at Hampton Court Palace this September; the Vanquish Zagato. Based on the V12-powered Vanquish, but with a slight boost to the 6.0-litre naturally-aspirated V12 and a few chassis tweaks, the mechanicals are definitely special. But for me, it’s the way it looks that makes this car really stand out. 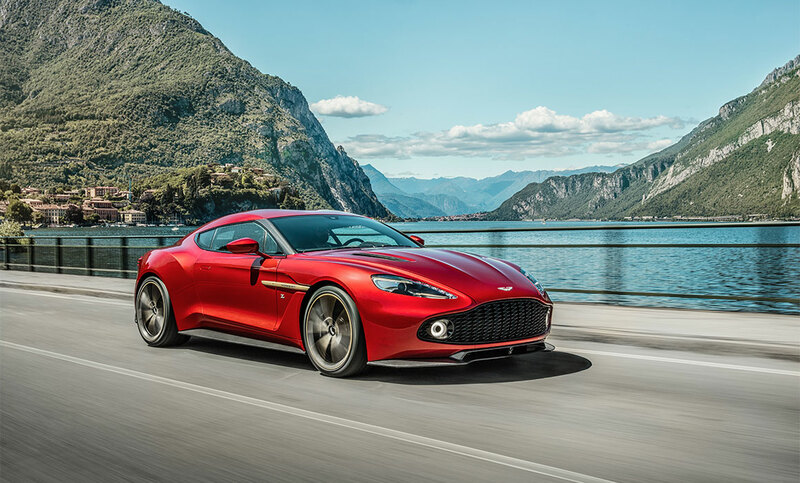 The body is made entirely from carbon fibre, and designed by Aston Martin’s Marek Reichman and Zagato’s Andrea Zagato, featuring the trademark double bubble roof and gently sweeping lines. This particular example even comes complete with stylish anodized bronze highlights – it’s a nice touch that clearly marks the Zagato out from any ‘run of the mill’ Vanquish. The Zagato’s appeal lies in its beauty, and in its performance, but also in its rarity. Only 99 will ever be built, so take your chance to see this one at Hampton Court Palace in September, because it won’t come around very often!